The organizations represented on Butler’s campus are Alpha Phi Alpha Fraternity Inc., Sigma Gamma Rho Sorority Inc., Delta Sigma Theta Sorority Inc., Alpha Kappa Alpha Sorority Inc. and Phi Beta Sigma Fraternity Inc. Currently, there are several Butler students involved in these NPHC chapters, most of which are based in the city, save for the alpha chapter of Sigma Gamma Rho, which was founded at Butler in 1922. On Nov. 26, IUPUI hosted a New Members Presentation for individuals going through the process of joining an NPHC organization. Nicole Ezeh and Jordan Stewart-Curet were among two of the Butler students initiated into Delta Sigma Theta. Bintou Doumbia is a senior chemistry major who has been a member of Delta Sigma Theta since 2017. Doumbia said the event is a chance to welcome new members to campus. NPHC organizations left an impact on Nicole Ezeh, a sophomore marketing and strategic communication major, when she saw the service work Delta Sigma Theta did for her community in Michigan. Delta Sigma Theta’s purpose is to “provide assistance and support through established programs in local communities throughout the world.” The organization runs a Five-Point Programmatic Thrust, which has initiatives in educational development, economic development, physical and mental health, international awareness and involvement and political awareness and involvement. 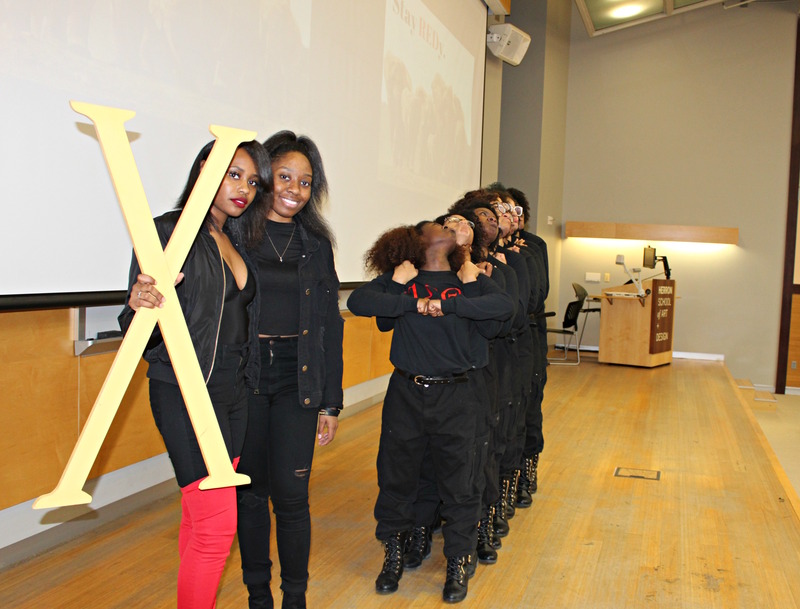 The Chi City-Wide Chapter of Delta Sigma Theta Sorority, Inc. hosts a number of events throughout the school year that involve academics, health, culture and more. This past semester, they’ve hosted study table sessions and had their annual Christina L. Nolan car wash, which raises money for the Christina L. Nolan Scholarship, a member of the chapter who was killed in a car accident. For those who are interested in Delta Sigma Theta or other NPHC organizations information can be found online.